The Salford Red Devils Foundation are hosting a ‘Virtual Ride to Rio Charity Cycle Challenge’ to raise money for Rugby League Cares, The Jane Tomlinson Appeal, and the community work being carried out by the Foundation in the Salford and Greater Manchester area. The event will take place at intu Trafford Centre on the Friday 29th and 30th July and will feature corporate races, junior and adult challenges and celebrity challenges featuring local stars and Salford Red Devils players. 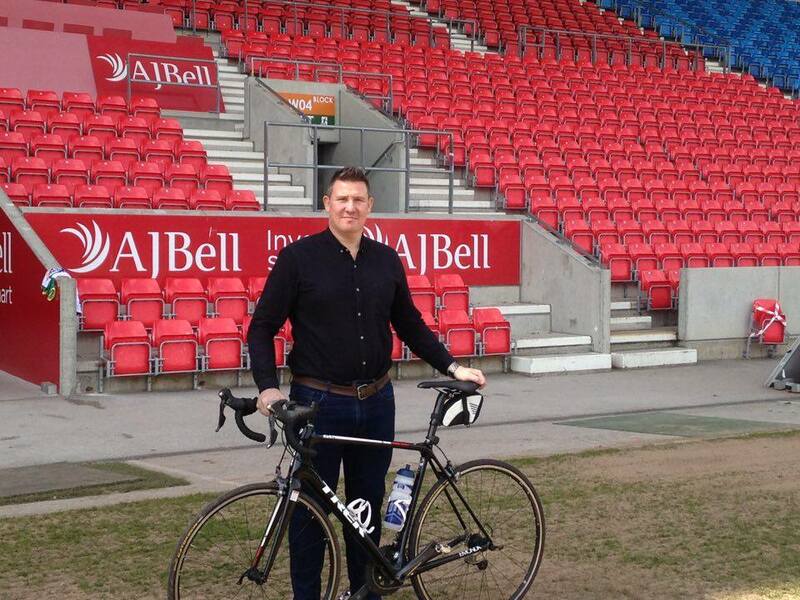 The challenge is in support of former Salford player Paul Highton, who along with a team of riders including former Great Britain international Keith Senior, will be taking on an epic adventure as they cycle from London to Rio De Janeiro ahead of the upcoming Olympic games. This intrepid journey has been organised by The Jane Tomlinson Appeal, a charity set up in the memory of the late Jane Tomlinson, who spent 7 years raising money to tackle cancer, having been diagnosed with a terminal strand of the disease in 2000. Alongside The Jane Tomlinson Appeal, the teams journey will also raise money for Rugby League Cares, a charity that is dedicated to supporting the wider Rugby League family. You now have the opportunity to add your support to these fantastic courses by taking part in our ‘Virtual Ride to Rio’. The challenge gives you the chance to settle a few office scores and find out who amongst your colleagues can cycle the furthest, and who can raise the most money through sponsorship.